Our small plaques (101/2" long, 71/4" wide, about 1" thick) with the laser engraved image of your choice instead of a rotor blade cross-section. Choose one of our images, or supply your own. 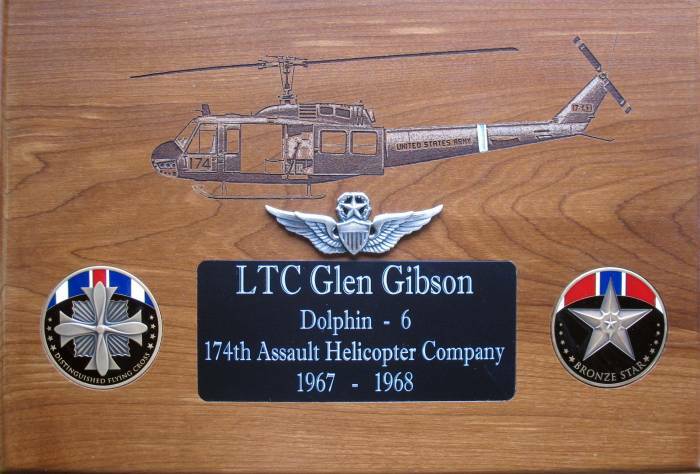 A great way to get a helicopter plaque even if we don't have any rotor blades for it! Customize your plaque with wings and coins to make it even more personal!